I’ll be joining New England Horror Writers Kimberly Dalton, Stacey Longo, Kasey Shoemaker, Rob Watts, and Nathan Wrann at the East Coast Craft Fair in New Haven, CT, this Sunday for signings and readings! Get a glimpse of what you won’t want to miss in this post by Jason Harris over at the NEHW blog. The New England Horror Writers and craft shows are becoming synonymous. This trend continues this Sunday when the NEHW participates in the East Coast Craft Fair in New Haven. The craft show will be held at the Trolley Square Mall on Saturday and Sunday, but the NEHW will only be there Sunday. NEHW members Kimberly Dalton, Stacey Longo, Kristi Petersen Schoonover, Kasey Shoemaker, Rob Watts, and Nathan Wrann will be there selling and signing their works. 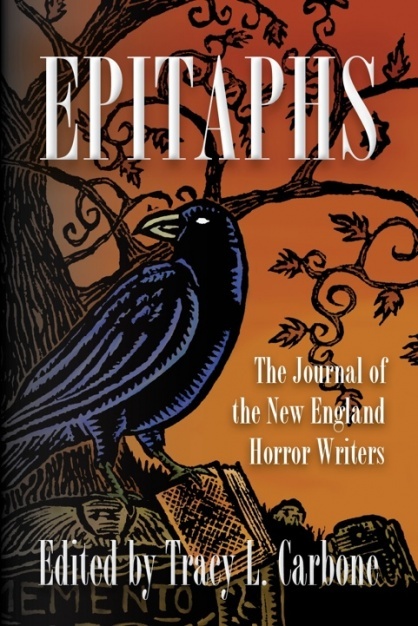 You can purchase Epitaphs, the first anthology created by the NEHW, which includes only stories by members. Longo’s story, “Private Beach,” which is reminiscent of Stephen King’s story, “The Raft,” is in this inaugural collection. This anthology also includes a story by Christopher Golden, who has written a number of Buffy the Vampire Slayer books, and Rick Hautala, the recent recipient of the Horror Writers Association’s 2012 Bram Stoker Award for Lifetime Achievement.